The Canadian Council for Public-Private Partnerships (CCPPP) is pleased to announce training sessions across Canada in 2018. 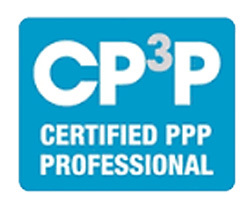 For the first time in Canada and internationally, CCPPP and Toraza are offering both Foundation (Level 1) and Preparation (Level 2) accredited training and examination opportunities to industry professionals. For further details on the CP3P Program, please visit www.toraza.ca or contact p3pm@toraza.ca.